Are you ready for some rocket ball? The Intel Extreme Masters takes Counter-Strike to Australia and two mid-tier League of Legends teams battle it out for a ticket to the Mid-Season Invitational in Brazil, but not to be outdone Psyonix’s Rocket League will see it’s second annual spring championship crown victors for both America and Europe ahead of the Championship later this month. In the last face-off before the Mid-Season Invitational group stage, SuperMassive eSports will take on Gigabyte Marines to see who will go on to search for glory against the world’s greats and who will find themselves watching the tournament in Rio de Janeiro from afar. The best-of-five series takes place today at 2:00PM EDT. You can stream the series live right here. 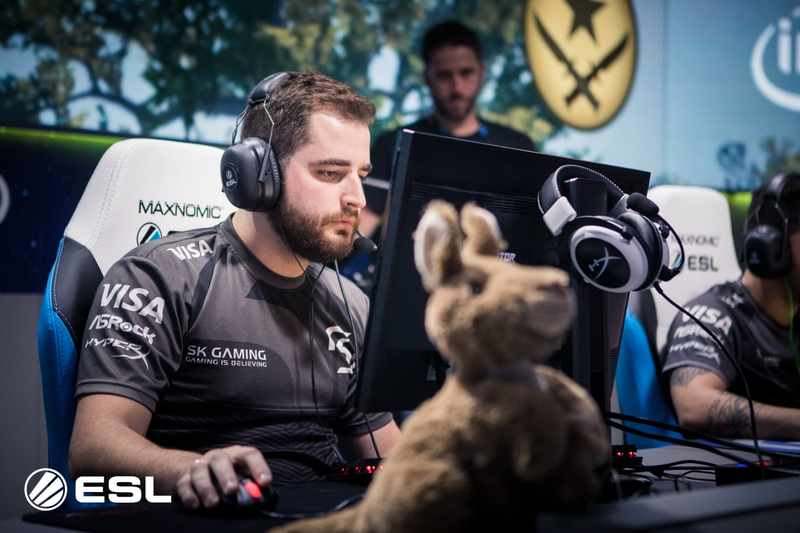 With DreamHack Austin in the rear-view mirror, competitive CS:GO shift’s its focus this weekend to the Intel Extreme Masters in Sydney. With $200,000 on the line, the event has come down to SK Gaming vs. FaZe Clan in the grand finals after the brutal semifinals saw Astralis fall and OpTic Gaming get smashed. The grand finals are scheduled for Sunday morning at 1:00AM EDT unfortunately, but you can always catch the rerun in the morning. If you’re planning to watch them live, however, they’ll be streaming here. The spring season has come to a close and this weekend will see the final roster selected for the championship tournament with the conclusion of the regional finals. The action begins today at 3:00PM EDT with Genesis vs. Selfless Gaming, followed by G2 Esports vs. Denial Esports. The North American semifinals, finals, and third place match will follow from there. Then on Sunday things kick-off in Europe at 12:00PM EDT with Gale Force Esports vs. Mock-It EU, followed by Flipsid3 Tactics vs. Resonant Esports, with the finals scheduled for later in the afternoon. You can watch all the matches live in the stream below. The Kiev Major might be behind us, but qualifying for Epicenter 2017 in Moscow is just getting started. You can catch Team Secret vs. Team Empire at 4:00PM EDT this afternoon, while later at 7:00PM EDT, Team NP will play FIRE in the Americas. You can find a list of teams and times here, while the matches will be streamed live here. The Texas Showdown 2017 is this weekend, featuring tournaments in Guilty Gear, Marvel vs. Capcom 3, Killer Instinct, and a host of other games, featuring talent from all over the fighting game community. Street Fighter V will headline the event, with KBrad, Snake Eyez, and others showing up to test the rising talent and each other as the Capcon Pro Tour continues. A full schedule for the event can be found here, with top 8 for SFV taking place Sunday evening at 7:00PM EDT, streaming here. The Paris Open will pit some of the best Gears teams from around the world against one another for a prize pool of $100,000. The full bracket and schedule for the event is here, with the finals slated for Sunday around 4:00PM EDT. You can watch the tournament live here. It’s week two of the 2017 Championship with the last four groups competing to see who will make it into the elimination bracket for the next weekend’s conclusion to the tournament. You can find matches streaming all weekend here. FIFA Ultimate Team European Regional Finals are this morning, with grand finals to be broadcast on ESPN 2 at 12:00PM EDT today. Otherwise you can catch up on all the morning’s FIFA action on the official stream here. In the world of Smash, Glitch 3 is going on in the West this weekend while the Umebura Japan Major lights up the East. The Smash Bros. Wii U events will span both today and tomorrow, with the latter streaming here and the former streaming here. The continent stretching China vs Europe 2017 Hearthstone tournament continues this weekend, resuming with Orange vs. Rdu at 7:00AM EDT on Sunday morning and matches continuing throughout the day with China’s OmegaZero and Russia’s Pavel currently leading their respective groups. You can stream the games live here. After last weekend’s Smite Masters, players in the Oceania region will gather for the start of the Pro League Split Two hosted as part of IEM Sydney. Four teams will compete with more information here. The Call of Duty Pro League continues this week with play in the Yellow Group, beginning today with LG vs. Mill at 2:00PM EDT. You can catch up on the standings and schedule here, and watch all of the games here. This weekend it’s NT vs. TF today at 5:00PM EDT in the Americas, and PD vs. SNG at 12:00PM EDT in Europe. Both will be followed by another match afterwards with the schedule mirrored on Sunday. The Pacific Championship continues this weekend with Fireball vs. Sunsister at 5:30AM EDT Sunday morning, while in the Premier Series Black Ananas vs. Oh My God kicks things off at 6:30AM EDT on the same day.